Pickled Shishito Peppers – What’s The Deal? 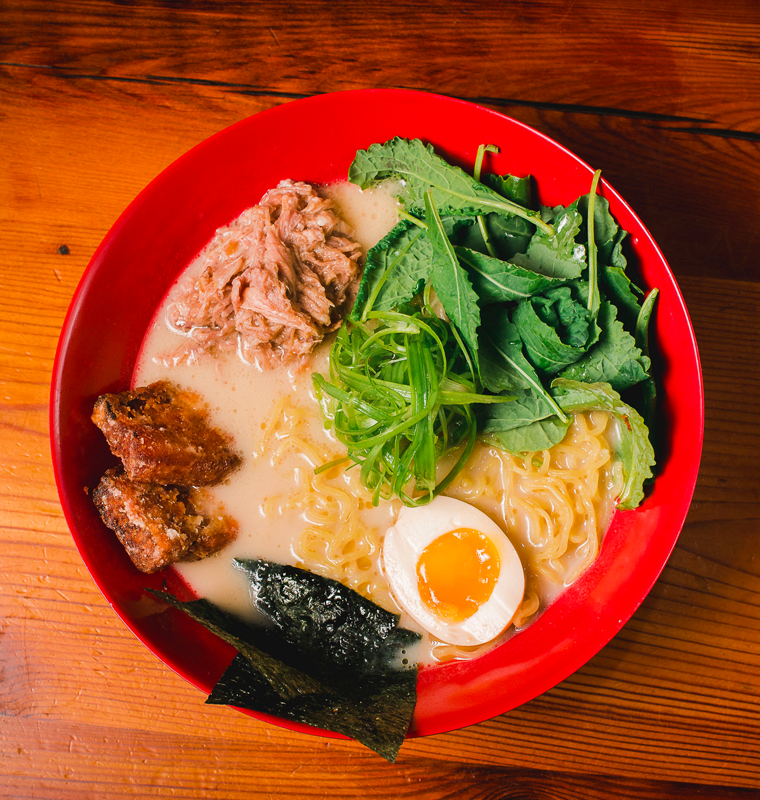 At Ejji, we provide six side sauces to amp up the umami flavors in your bowl of ramen. If you are unsure of which topping to choose, you can never go wrong with our pickled shishito pepper. Made in-house, containing a bold, sweet and sour flavor with just the right hint of spice. Sounds like a dynamite sauce, right? It definitely is. First and foremost, what is a shishito? 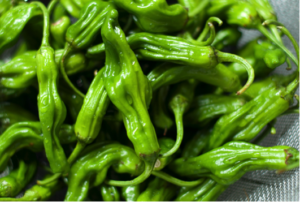 A shishito is a type of pepper, but not the kind you can find at your everyday grocery store. It is an East Asian variety of the species Capsicum annuum. In Korea, it is also known as “kkwarigochu” due to its wrinkled surface resembling groundcherries. If looking for these peppers to use at home, the best bet is to seek an international or Asian grocery store. On the Scoville scale a.k.a “the heat scale of peppers,” the range goes from 50 to 200 Scoville heat units. By comparison, a bell pepper is a 0 and a Ghost Pepper is just over 1 million Scoville heat units. The shishito pepper is actually not hot. However, one out of every ten to twenty shishito peppers can give you a good kick in your tongue! So, what’s the deal with these peppers? Shishito peppers are mostly used for popular Asian dishes. They can be prepared and eaten many ways. One of the most popular ways to prepare them is to grill or pan fry in oil (So Yum! ), or stew in soy sauce with a dashi based liquid. Or, you can simply eat them raw as a condiment. 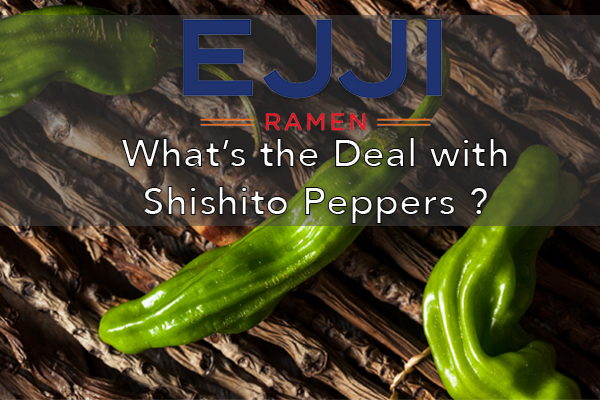 At Ejji, we prepare our shishito peppers by letting the peppers marinate in a fish sauce and vinegar. This gives it that bold, sour and seemingly hot taste. 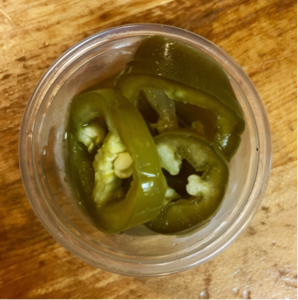 Although our peppers are more on the mild side, they are delicious, providing the perfect amount of umami (the 5th basic taste) your taste buds crave. Umami is one of the main characteristics that make food palatable, and is what helps balance a dish. If you’re unfamiliar with what “umami” is, here’s a look into the history of it. Next time you’re in the shop, experience the taste of umami by adding our pickled shishito peppers to your dish. We promise, your taste buds will thank you.